Citizensinformation.ie provides comprehensive information on public services and on the entitlements of citizens in Ireland. We gather information from various government departments and agencies, and make sure that you have all the information you need, presented in an easy-to-understand way. The site has been specially designed around the needs of users for those times in life when you need information about your rights and how to apply for State services in Ireland. Citizensinformation.ie was developed, and is maintained by the Citizens Information Board (formerly Comhairle) to replace the Oasis website. Citizensinformation.ie website is an Irish eGovernment initiative, and was originally established under the Government's first action plan for the Information Society. The Citizens Information Board also provides a website on mortgage and rent arrears in conjunction with the Money Advice and Budgeting Service (MABS) called keepingyourhome.ie. The Citizens Information Board also runs a website that provides information on assistive technology, aids and appliances for people with disabilities and older people. This website is called assistireland.ie. The Citizens Information Phone service and Citizens Information Centres are funded and supported by the Citizens Information Board. They provide free, confidential, independent and impartial information to all. The Citizens Information Board also produces a number of publications about your rights and entitlements. 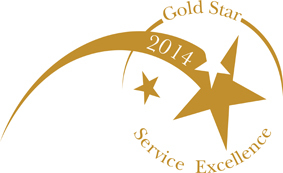 Citizens Information Board websites, including citizensinformation.ie, received the EFQM (European Foundation for Quality Management) Gold Star Service Excellence Quality Mark in 2014.